India's Heaviest Satellite GSAT-11 Launched Successfully..
Satellite Updates: India's Heaviest Satellite GSAT-11 Launched Successfully..
Satellite Updates : India's Heaviest Satellite GSAT-11 Launched Successfully..
Bengaluru: India's heaviest satellite GSAT-11, that would boost broadband services in the country, was successfully launched by an Arianespace rocket from the French Guiana in the early hours of Wednesday, the Indian Space Research Organisation (ISRO) said. 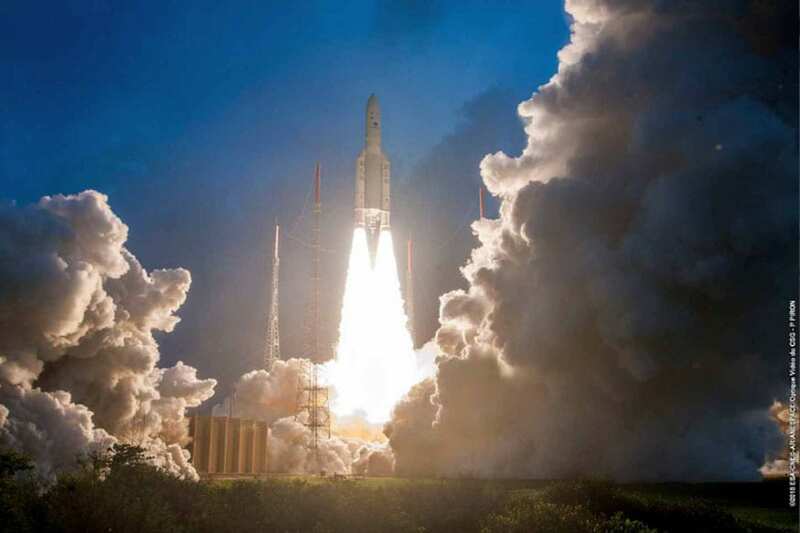 According to ISRO, GSAT-11 will provide high data rate connectivity to users of Indian mainland and islands through 32 user beams in Ku-band and 8 hub beams in Ka-band with up to 14 gigabit per second (GBPS) data transfer speed. Stating that GSAT-11 is going to be the "richest space asset" for India, Sivan said ".....it is going to provide something like 16 GBPS data link services to the country." It is the third in a series of four satellites aimed at achieving the government's ambitious target to provide high data connectivity of 100 GBPS in the country under the Digital India Mission, he added. Sivan thanked Arianespace for making it possible for the ISRO to achieve the launch this year itself. The Ariane-5 vehicle (Flight VA246) also carried GEO-KOMPSAT-2A for the Korea Aerospace Research Institute (KARI), along with GSAT-11.